Prevention of Fraud in Travel (PROFiT) was officially launched in 2009 with the sole purpose of preventing fraud in the travel industry. Whether you are a company or a consumer Prevention of Fraud in Travel is here to help you. In partnership with Travel Weekly Prevention of Fraud in Travel has launched an industry-wide campaign aiming to combat the growing menace of cybercrime against travel companies. Prevention of Fraud in Travel works closely with UK policing and we are founding partners of the Global Cyber Alliance. On the 30th May 2017 we launched an initiative to roll out two free tools which will harden business systems and massively reduce the risks of spam, phishing emails, and ransomware attacks. You may be aware that the UK government intends that all government agencies will use the DMARC solution. The tools are a 'free good' and we are keen to encourage as many organisations as possible to use them. 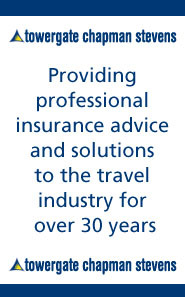 If you would like to work with Prevention of Fraud in Travel to help prevent fraud in the travel industry we offer a membership scheme which offers a selection of services including the right to attend PROFiT meetings, access to a fraud prevention community and the right to use the PROFiT mark. Whether your organisation is affected by charge-backs, credit card fraud and internal fraud or is just looking for more information about fraud prevention we can help. For all enquiries please email contactus@profit.uk.com.